The Healthiest Part of Your Meal May Have Been the Garnish! I can still remember my favorite Friendly’s lunch – the fried clam boat. My lunch would arrive on the table completely devoid of color; a mound of golden fried food. The clams would be spilling out of a white hot dog bun. The fries would be piled in a heap next to the clams and bun. And peaking out from under my fries, the only non-brown thing on my plate, was my garnish – a piece of kale.At the end of the meal the kale would be the only thing left untouched on my plate. Sadly, that solitary piece of kale was without question the most nutritious piece of food on my plate. Kale, along with swiss chard, arugula, collard greens, bok choy, watercress, and other dark leafy greens are super heroes when it comes to delivering what we need to maintain optimal health. Each contains a synergistic mix of phytochemicals, vitamins (A,B,K), minerals (calcium, iron, potassium, magnesium) and antioxidants. Phytochemicals are compounds that occur naturally in plants and act as antioxidents in the body preventing cancer, heart disease, and other chronic diseases. It has been long understood that a diet rich in fruits and vegetables yielded healthier individuals, but it wasn’t until recently that we understood why. Antioxidents help prevent the oxidation of molecules within the body. When molecules oxidize the can become dangerous, forming substances that cause cancer (carcinogens) and cause us to age. Antioxidents can block the action of already formed carcinogens on their target organs or tissue, or act on cells to suppress cancer development. Complete from A to Zinc? 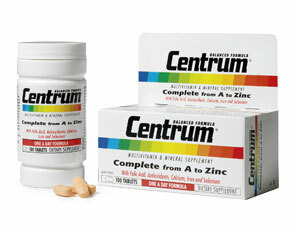 Now, I know what many of you may be thinking…I take a multivitamin! If you look at the label of your multivitamins, you may see vitamins A,B and K. Calcium, iron, potassium and magnesium should also part of the list. And, maybe even some of the antioxidant will show up, too. And you are likely thinking, “Phew, I’m covered! I don’t have to eat my garnish!” But, in truth you may not be. Not sure what I mean? Try thinking of it this way. When you pop a multivitamin on an empty stomach it is a lot like putting a Blu ray disk into a DVD player. The disk will spin, but nothing will play on the screen. Your DVD player has no idea what to do with the information on a Blu Ray disk. When you ingest isolated vitamins and minerals from a pill your body doesn’t quite know what to do with them. But what about taking a multivitamin with food? Better, but not much. The presence of food tells the body vitamins and minerals are coming, but they arrive out of the context – not as the components of the whole foods. In this case imagine a DVD into a Blu ray player. The Blu Ray player will play the DVD, but the quality of the picture isn’t so hot. Your body may absorb and utilize some of what the pill offers but it will never as efficiently as what is available from a whole food. Luckily kale still shows up on my plate as a garnish and it is frequently one of the first things I eat. And, what accompanies the kale on my plate has changes as well. Now I choose items that are as close their natural state as possible. I look for items that are grilled, broiled, or steamed instead of breaded and fried. This ensures that when my food goes from my plate into my body, my body will know exactly what to do with it. Add Bok Choy to a stir fry. After you’ve browned your meat, chop and add the lower white part of the bok choy to your other stir fry veggies. Cook until tender. Add in the bok choy leaves and cook 1-2 minutes more. Serve and enjoy! Add Watercress to soups. Make your favorite chicken soup, but instead of adding rice or noodles, add in some watercress. Watercress leaves cook quickly so throw them in just a few minutes a before serving. Use Swiss Chard leaves instead of burger buns or tortillas but remember to remove the stems! What to do with the stems you ask? Sauté them in olive oil with some garlic until soft…what a perfect side dish! Add Kale to your salad greens. 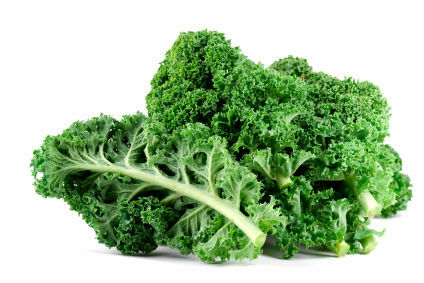 Throw a handful of chopped kale into your salad for an extra green boost! Can I still have the patty melt if I eat my garnish? Well, if we trade in the bun and nix the cheese…. put the whole thing on top of a salad instead of the fries…now we’re talking! 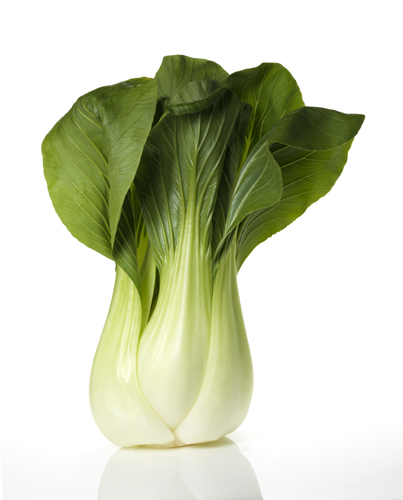 Bok choy can be great in soups as well…leaves and stems. Its a good alternative to celery!